driveBay is metal tolerant, that is output is unaffected by composite materials. Capable of driving errors induced by highly constructive metals (such as aluminum) to zero by adjusting measurement rate. 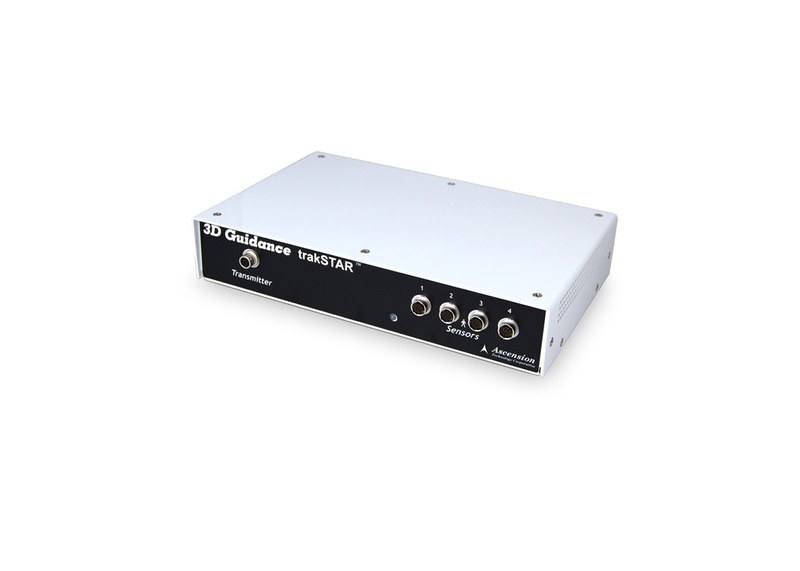 Using advanced magnetic technology and signal processing the driveBay features improved dynamic performance over longer ranges and “Power-line” noise filtered out. The driveBay is also occlusion and drift free removing the requirement for clear line-of-sight between transmitter and sensor(s). Minimal footprint: electronics unit fits into your PC’s drive bay. 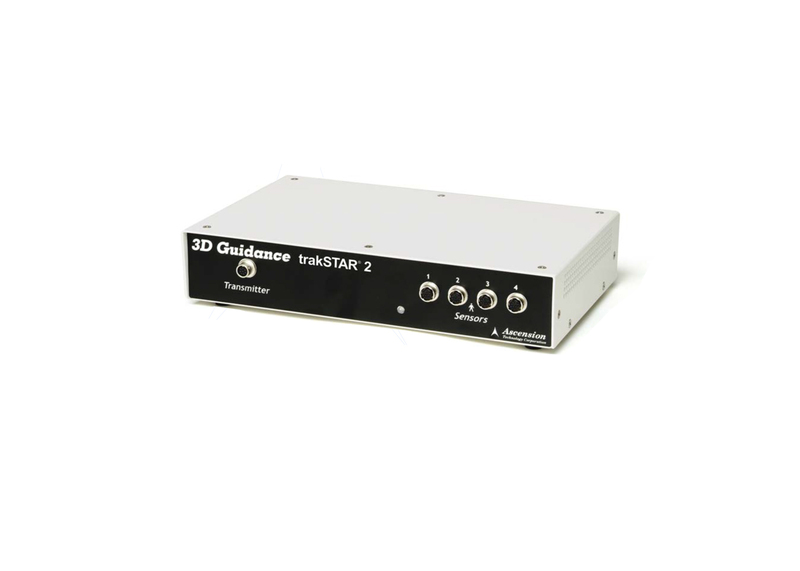 Fast 3D tracking: 240 – 420 updates per second. A attitude: no inertial drift or optical occlusions. 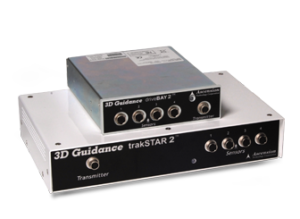 Tracks 1 to 4 6DOF sensors simultaneously. Tracker electronics inside your PC. 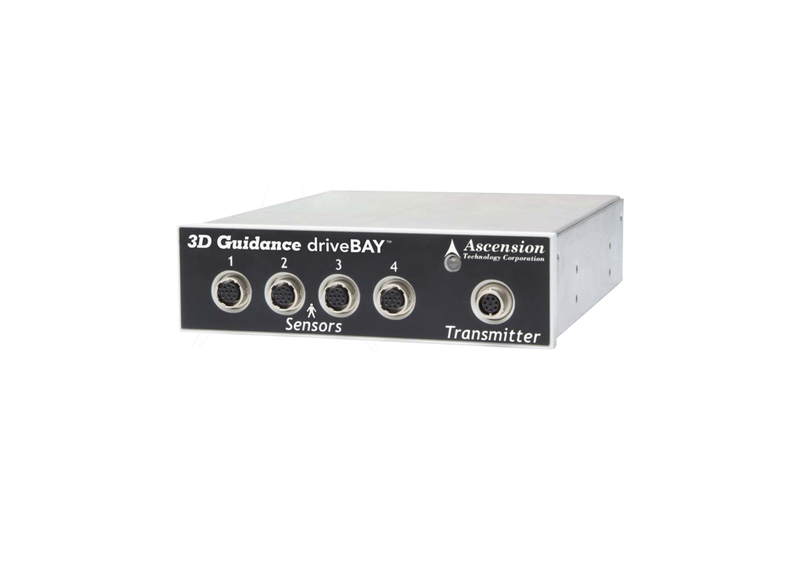 “The driveBAY is the latest addition to the Ascension 3D Guidance family of ultra-fast trackers of small magnetic sensors. Users can select update rates as high as 420 times a second for each of four miniaturised sensors. The module fits into your PC’s drive bay.” Jeff Ferguson, Immersive Technologies Consultant. Miniaturized passive sensors – outputs unaffected by “power-line” noise sources. Position: 0.5 mm (0.02 inch) at 30.5 cm (12.0 inches) Orientation: 0.1° at 30.5 cm (12.0 inches) *Resolution measured for tracker with mid-range transmitter and 8 mm sensor.